When I first put this book on my to read list, I remember writing that I thought it would be one of those books that I either loved or hated. Just the description made me think there wouldn’t be a middle ground. 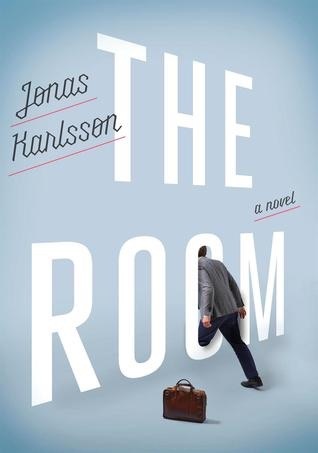 Bjorn is a compulsive, exacting bureaucrat who discovers a secret room at the government office where he works–a secret room that no one else in his office will acknowledge. When Bjorn is in his room, what his coworkers see is him standing by the wall and staring off into space looking dazed, relaxed, and decidedly creepy. Bjorn’s bizarre behavior eventually leads his coworkers to try to have him fired, but Bjorn will turn the tables on them with help from his secret room. In the end, I didn’t love it but I wasn’t far off. This is a novella more than a novel, running only 137 pages, and a real page turner. It is, however, hard to describe because in a way, it’s about nothing but office politics and perception. Bjorn is one of those people I think everyone has met or worked with at some point. Someone who isn’t on quite the same page as everyone else in the office, who struggles to join in with conversations and whose attempts at interaction often feel awkward and forced. Through descriptions of his colleagues behaviours you get to see that is how they see Bjorn. Different is a polite word for it, especially when he starts insisting that the wall he is staring at is a door to a room. At the same time, because the story is told by Bjorn and about Bjorn you get a glimpse into what is going in his head. It is another world. And in his world he is smart, capable, all seeing and all knowing. Everyone around him is next to useless and he has not time for them or their water cooler chat. He can’t and won’t attempt to understand why his behaviour might make them uncomfortable. In the end, the two worlds collide and can’t co-exist. It isn’t surprising but at the same time, right to the end, I had no idea which world would win. I couldn’t tell if Bjorn had uncovered something he shouldn’t have or if he really was going off the deep end. It was fun trying to figure it out though and the book was really funny at times. It was also sad and disturbing in places. Hard to fit in in 137 pages and really well done. Highly recommended.